CCIE (Cisco Certified Internetwork Expert) is the highest level of professional certification offered by Cisco. 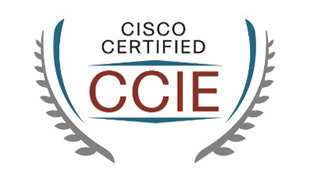 Less than three percent of all Cisco certified professionals earn their CCIE. Experience is the best preparation for the hands-on CCIE lab exam. Have you ever asked how many CCIEs are in the worlds? There a are 1729 people with multiple certifications and 274 with 3 or more certifications.